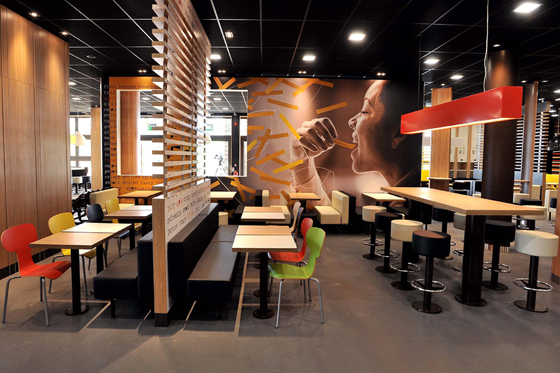 McDonald’s today shared an advanced look at its flagship Olympic Park restaurant for the London 2012 Olympic and Paralympic Games. 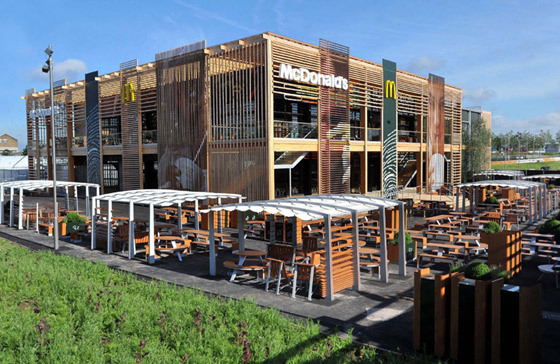 A world-first for McDonald’s in regard to sustainability, the restaurant is designed to be reusable and recyclable after the Games. It also brings together, in one state-of-the-art structure, some of the best innovations developed by McDonald’s during the last five years. Inspired by the London Organising Committee of the Olympic and Paralympic Games’ (LOCOG’s) vision to make London 2012 the most sustainable Games possible, McDonald’s spent three years planning the design and structure of the restaurant to ensure it would create a contemporary and welcoming atmosphere for customers, with minimum impact on the environment. 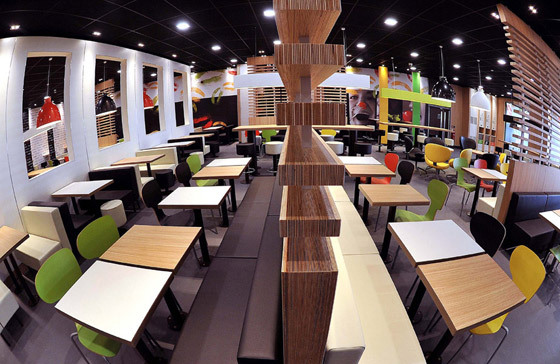 After the Games, 75 per cent of the restaurant will be reused and almost everything else will be recycled, with all of the furniture and equipment going to McDonald’s UK restaurant estate. From furniture and kitchen equipment to light bulbs and switches, approximately 5,500 items installed in the restaurant have been logged and will be transferred to new and existing restaurants across the UK once the Games draw to a close. With around 15 new restaurants planned to open during the next 12 months and McDonald’s major restaurant redesign programme on schedule for completion by the end of this year, every reusable fixture and piece of equipment will be used again after the Games. Jill McDonald, CEO, McDonald’s UK said: “London 2012 is set to be the most sustainable Games ever hosted and this ambition inspired us not only to fulfil our role as Official Restaurant in the catering operation behind the event, but also to bind sustainability into the heart of our state-of-the-art Olympic Park restaurants. The innovations at the flagship Olympic Park restaurant include the choice of express lanes with hand-held order taking and contactless payment, in addition to the use of energy-efficient kitchen equipment and water-saving technology. In line with its day-to-day business practices, McDonald’s will collect all used cooking oil from the restaurant and recycle it into the special blend of biodiesel that fuels more than half of its UK delivery trucks. 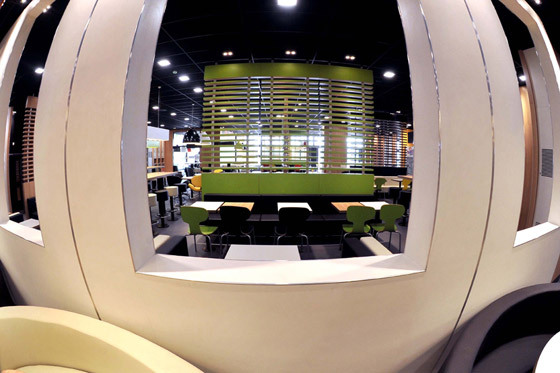 McDonald’s will staff this flagship restaurant with 500 employees from its 2,000 McDonald’s Olympic Champion Crew— its top-performing employees who have been selected through a nationwide competition to work at the Games at one of the four McDonald’s restaurants on the Olympic Park. 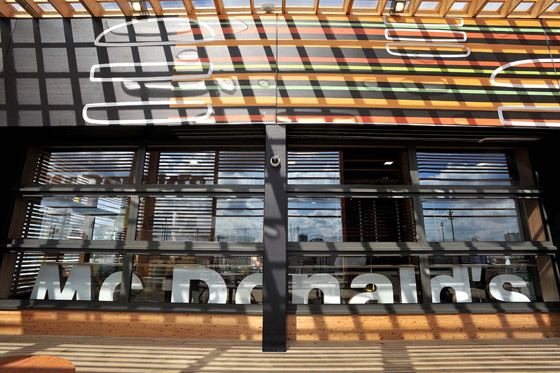 The Central flagship restaurant is one of McDonald’s four Olympic Park restaurants, which have all been designed with sustainability at their core.